IFA is not a brand name of a particular automobile, but rather the state-owned company to which all the automobile factories belonged (such as Audi, DKW, Horch, Wanderer, and Phanomen). The f9 was jointly produced by Horsch (who produced the bodywork) and Audi (who assembled the vehicle) and was based on a pre-war DKW design. 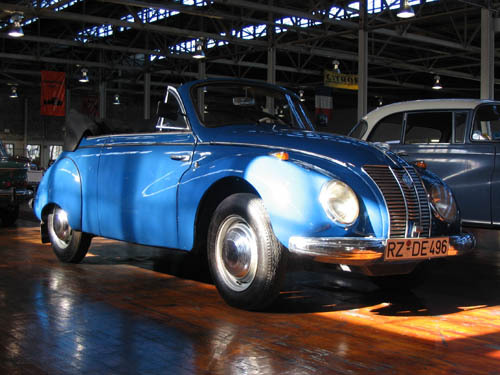 This rare convertible IFA is a very close copy of the DKW Auto Union 1000.